The ATF Special Response Team program manages the inherent risks associated with the investigation and apprehension of some of the country’s most violent criminals. There are five SRTs located throughout the country in Dallas, Detroit, Los Angeles, Miami, and Washington, D.C. The SRT consists of 149 full- and part-time members. The Bureau of Alcohol, Tobacco, Firearms and Explosives’ (ATF) Special Response Team (SRT) program was formed to manage the inherent risks associated with the investigation and apprehension of some of the country’s most violent criminals. There are five SRTs located throughout the country in Dallas, Detroit, Los Angeles, Miami and Washington, D.C., consisting of 149 full- and part-time members. Since its inception in 1996, these SRTs have supported multiagency operations involving outlaw motorcycle organizations, armed drug trafficking organizations, terrorists, and organized crime organizations. These significant investigations require superior tactical operational proficiencies and specialized equipment. With 206 activations in 2017 and more than 2,000 since fiscal year 2007, these teams respond to a variety of high-risk operations including the service of arrest and search warrants; undercover robbery investigations; robberies; buy/bust undercover operations; rural operations; tracking of personnel in rural areas by human and K-9 operators; high-risk surveillance; use of highly-trained, precision marksmen and precision weapon systems; quick reaction or response to natural disasters and public safety concerns; and high-threat protection detail assignments. Tactical operators: These are agents trained in a variety of tactical disciplines including forward observation; explosive and mechanical breaching; hostage rescue; dynamic and covert entry techniques; personal security detail operations; rappelling and fast rope training; and many other skills, utilizing a variety of specialty tools and weapons to perform their missions. Crisis negotiators: The SRT program has 33 crisis negotiators trained and available to support all operations. The negotiators specialize in barricade and hostage incidents and intelligence gathering. Operational medic program: There are more than 70 tactical medics located throughout all 25 ATF field divisions and at ATF headquarters who are specially trained to provide basic and advanced medical support during enforcement and training operations for the SRT, National Response Team (NRT) and at ATF facilities. The operational medic program also prepares a medical threat assessment in advance of enforcement and training operations and, upon request, provides basic CPR/first aid/trauma training to agents in the field. Tactical K-9 program: Most law enforcement agencies use K-9s in a police/security role but ATF has developed a unique asset by training its SRT dogs to not only be aggressive when required, but to also be social. The 10 teams of SRT K-9s and their handlers work in conjunction with the tactical teams to clear buildings and other target locations; perform searches for hidden suspects; conduct tracking and large area search missions; and, as a last resort, stop threats. Increased the likelihood of safe and efficient resolutions to life-endangering law enforcement operations. 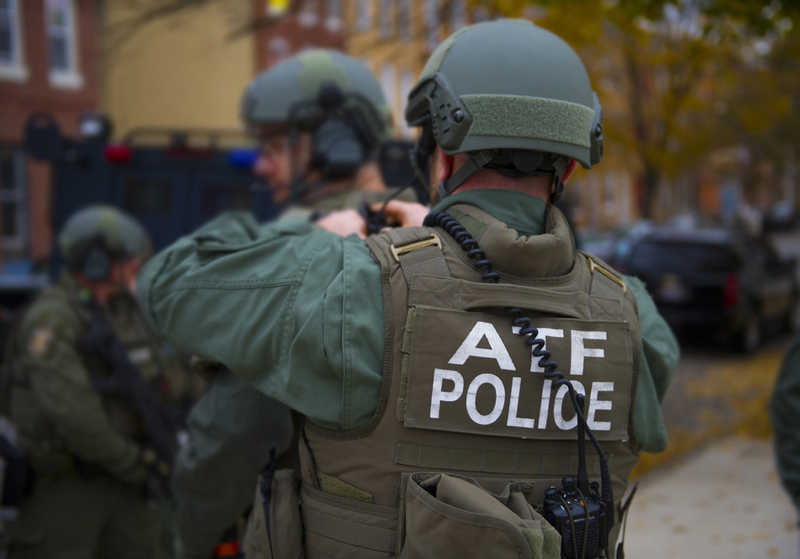 Developed tactics, operating procedures, and contingency plans combined with the appropriate equipment and personnel to provide the necessary support during the most high-risk ATF take-downs of violent criminals. Provided ATF field divisions and the ATF Academy with a cadre of tactical instructors to increase training and overall capabilities.